Finally with this new store I'm able to list games for sale by myself and others that contact me. If you are interested in a game, please email me (nathant@spectralogic.com) and I'll provide more pictures and we can set up time to discuss. If you have a game for sale, send pictures, a description and pricing and I'll list it on here for 90 days free of charge. 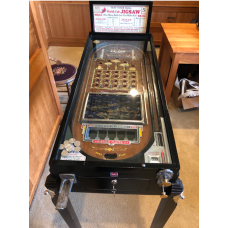 For games that I offer for sale please contact me instead of ordering off the web site and we can discuss shipping, service, etc prior to placing and order. This restoration started in June 2017 and finished in August 2018. 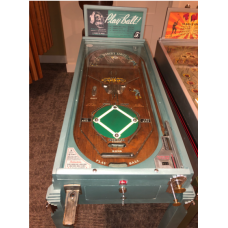 This 1934 game has an origi.. This Jigsaw aka World's Fair restoration started December 2017 and finished in June 2018. This.. 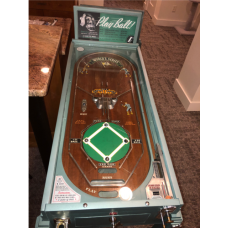 This World Series restoration started in June 2017 and finished in August 2018This 1934 game has a r..